Why Should I Become A Rotarian? 2. The Opportunity to Serve: Rotary is a service club. It's business is mankind. Its Product is service. Rotary provide community service to both local and international communities. This is the perhaps the best reason for becoming a Rotarian: the chance to do something for somebody else and to sence the self-fulfillment that comes in the process and return of that satisfaction to one's own life. It is richly rewarding. 3. Business Development: The second original reason for Rotary's beginning is business development. Everyone needs to network. Rotary consists of a cross section of every business community. Its members come from all walks of life. Rotarians help each other and collectively help others. 4. Personal Growth and Development: Membership in Rotary continues one’s growth and education in human relations and personal development. 5. Leadership Development: Rotary is an organization of leaders and successful people. Serving in Rotary positions is like a college education. Leadership: - learning how to motivate, influence, and lead leaders. 6. Citizenship in the Community: Membership in a Rotary club makes one a better community citizen. The average Rotary club consists of the most active citizens of any community. 7. Continuing Education: Each week at Rotary there is a program designed to keep one informed about what is going on in the community, nation, and world. Each meeting provides an opportunity to listen to different speakers and a variety of timely topics. 8. Fun: Rotary is fun, a lot of fun. Each meeting is fun. The club projects are fun. Social activities are fun. The service is fun. 9. Public Speaking Skills: Many individuals who joined Rotary were afraid to speak in public. Rotary develops confidence and skill in public communication and the opportunity to practice and perfect these skills. 10. Citizenship in the World: Every Rotarian wears a pin that says “Rotary International.” There are few places on the globe that do not have a Rotary club. 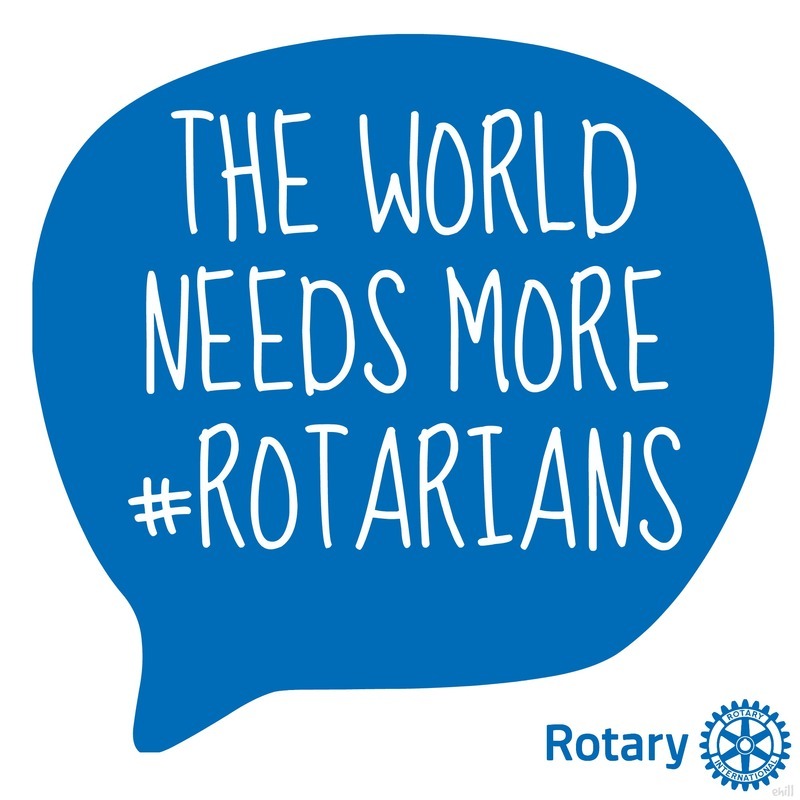 Every Rotarian is welcome – even encouraged – to attend any of the over 34,000 clubs in over 200 nations and geographical regions. This means instant friends in both one’s own community and in the world community. 11. Assistance when Traveling: Because there are Rotary clubs everywhere, many a Rotarian in need of a doctor, lawyer, hotel, dentist, advice, etc., while traveling has found assistance through Rotary. 12. Entertainment: Every Rotary club and district has parties and activities that provide diversion in one’s business life. Rotary holds conferences, conventions, assemblies, and institutes that provide entertainment in addition to Rotary information, education, and service. 13. The Development of Social Skills: Every week and at various events and functions, Rotary develops one’s personality, social skills and people skills. Rotary is for people who like people. 14. Family Programs: Rotary provides one of the world’s largest youth exchange programs; high school and college clubs for future Rotarians; opportunities for spouse involvement; and a host of activities designed to help family members in growth and the development of family values. 15. Vocational Skills: Every Rotarian is expected to take part in the growth and development of his or her own profession or vocation; to serve on committees and to teach youth about one’s job or vocation. Rotary helps to make one a better doctor, lawyer, teacher, etc. 16. The Development of Ethics: Rotarians practice a 4-Way Test that governs one’s ethical standards. Rotarians are expected to be ethical in business and personal relationships. 17. Cultural Awareness: Around the world, practically every religion, country, culture, race, creed, political persuasion, language, color, and ethnic identity is found in Rotary. It is a cross section of the world’s most prominent citizens from every background. Rotarians become aware of their cultures and learn to love and work with people everywhere. They become better citizens of their countries in the process. 18. Prestige: Rotary members are prominent people: leaders of business, the professions, art, government, sports, military, religion, and all disciplines. Rotary is the oldest and most prestigious service club in the world. Its ranks include executives, managers, professionals – people who make decisions and influence policy. 19. Nice People: Rotarians above all are nice people - the nicest people on the face of the earth. They are important people who follow the policy of it is nice to be important but it is important to be nice. 20. The Absence of an “Official Creed”: Rotary has no secret handshake, no secret policy, no official creed, no secret meeting or rituals. It is an open society of men and women who simply believe in helping others.